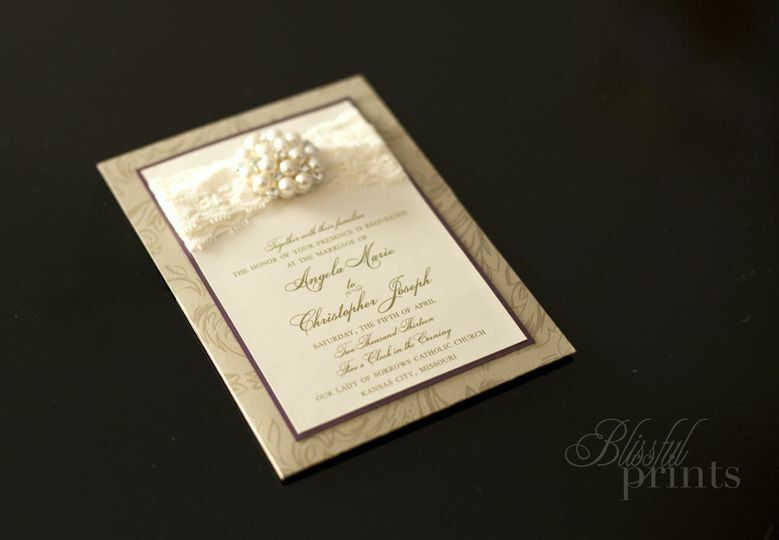 Blissful Prints creates the most exquisite designs to fit your needs. 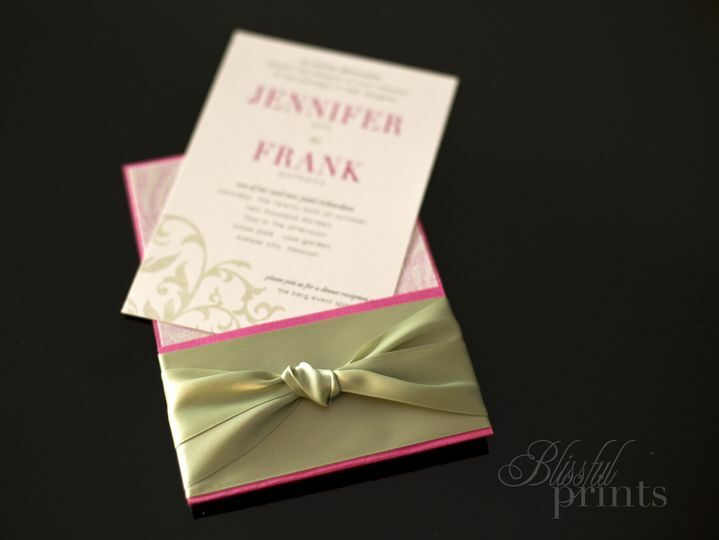 Our goal is to express your style and set the tone of your event or celebration through custom-designed print materials. Our team will make you feel at ease, each step of the way. Cheers and Congratulations! Mary-Catherine was amazing to work with. I planned my entire wedding from a different state and she was flexible working with me over the phone and via email. 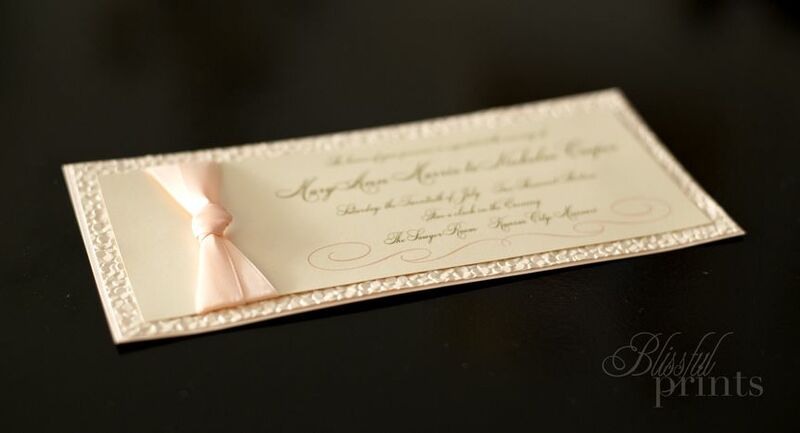 We had a few phone conversations where she asked me about my style and what my thoughts were on invitations. She then sent me several awesome samples that were right on point! 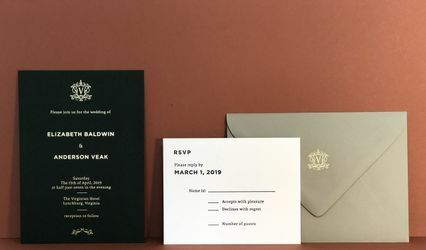 The best part is that I was able to send her my invitation list and she took care of addressing my envelopes and mailing them out. I had done this myself for my save the dates and it was so stressful! 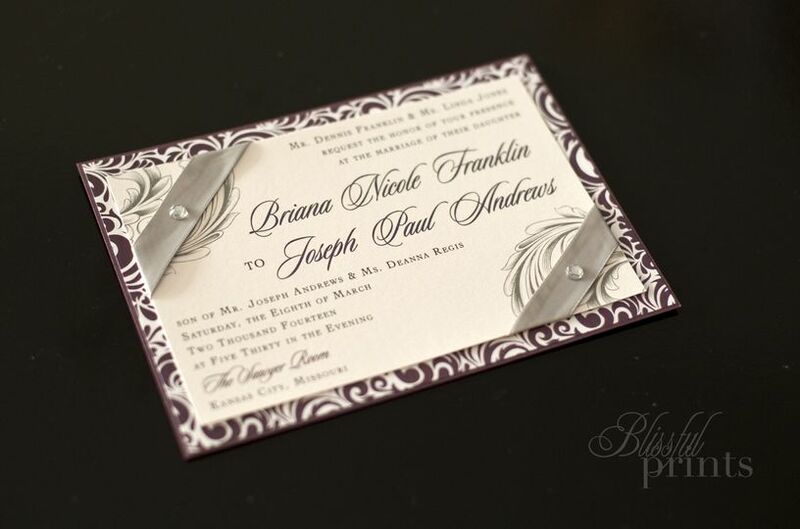 I had so many compliments regarding my invitations. 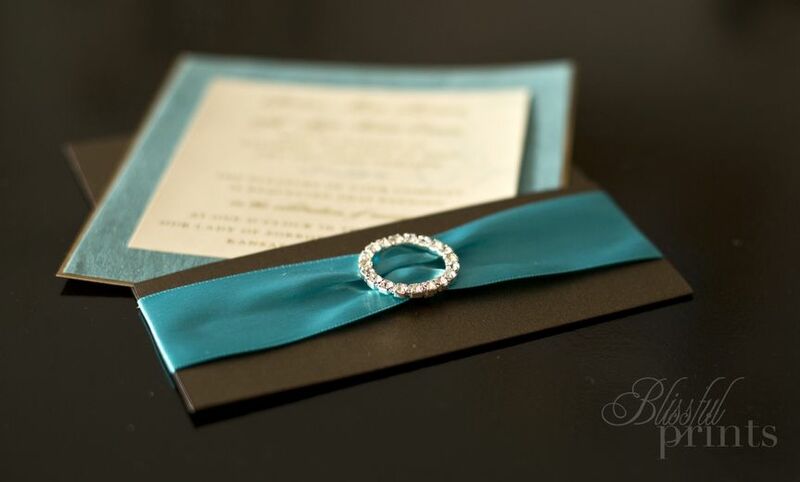 Some family members told me they were the most beautiful invitations they had EVER SEEN!! And I completely agree! 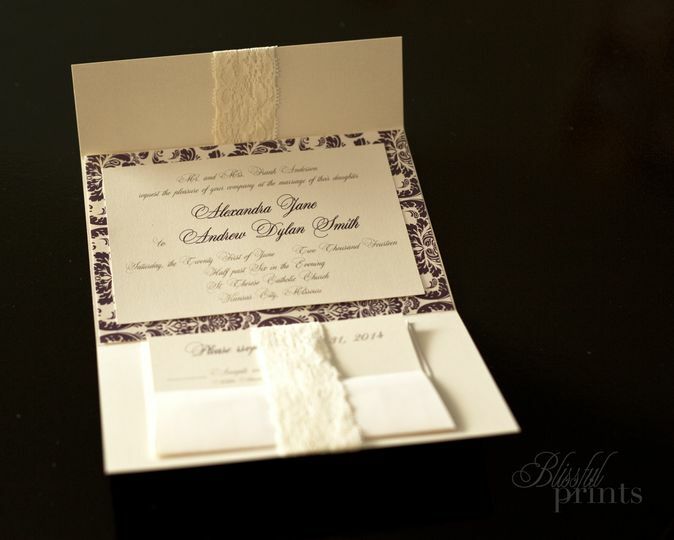 I also had her create my ceremony programs to match the invitation and my framed seating chart. Even with my seating chart procrastination she was able to put it together and it was perfect! Aside from the beautiful end product, Mary-Catherine has such a warm and sweet personality. She would get so excited over my invitations and her excitement is infectious! I would HIGHLY recommend her and her company to any bride!! Thank you Thank you Mary-Catherine you are the BEST!! !